Android Apps (Tablets & Phones). Use in the Art classroom for touchscreen painting. A variety of touch-screen computer manufacturers provide cost effective solutions for schools. Dell provides one of the most popular touch-screen computers in schools in the form of their OptiPlex 9010 series, ranging from approximately $980-$1100. View the video below to learn more. Any educational provider considering purchasing laptops or implementing a one-to-one laptop program should consider purchasing touch screen laptops that take full advantage of Windows 8 touch gestures and emerging touch screen programs. View the video below of the HP Pavillion TouchSmart 11 Inch Laptop; a fast, cheap and reliable entry level laptop ideal for students. Wireless or wired keyboards and mice? The development of touch screen technology has come a long way in the last few years. The first touch screen phones, tablet devices, interactive whiteboards and PCs were single-touch: they could only handle one touch-point at a time. However, multi-touch technology has come a long way in the last few years and is starting to make its presence felt. Apple was one of the first companies to make multi-touch devices available to the public via the iPad 2 (iOS 5+) and various portable Macbooks. However, their multi-touch technology is confined to multitasking gestures such as 'pinch and zoom' (using two to five fingers) or swipe actions to navigate and close screens. The multi-touch technology pioneered by Apple was due to eventually trickle down to PCs and interactive whiteboards. As multi-touch interactive whiteboards are now starting to become common place in schools, multi-touch PCs are now starting to emerge into the mainstream. Whilst touchscreen computers and laptops are making appearances within schools, most of them are only single touch or multi-touch but with a lack of supportive programs designed specifically to allow users to touch at the same time and work collaboratively. To "paint" or "draw" using an multi-touch surface, a special nut inexpensive pen/stylus is needed. Click here to read more about pen/stylus'. Whilst schools who purchase touch screen computers may think that the technology potentially makes the the wired/wireless keyboard or mouse redundant, the mice and keyboard combination is still very much a viable option. However, various considerations must be made when purchasing mice and keyboards. when schools don't realise that the wireless keyboards and mice run generally run on AA batteries. Most out of the boxes purchases of new PCs will come with non-rechargeable batteries. 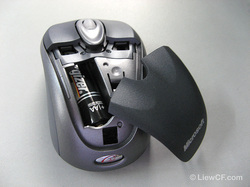 Whilst the keyboards and mice can both be switched off using an on/off switch underneath each device, trying to patrol this or remember at the end of the school day is not easy, and the batteries most likely won't last more than two months. Thus if schools choose to purchase wireless keyboards and mice for their new PCs, they must realise that that choice must incur a significant investment, in rechargeable batteries and recharging units, that is in addition to and separate from the PC purchase agreement. Therefor schools are most likely to choose the more cost-effective, one-off purchase of wired keyboards and mice, which conveniently is one of the many options when signing the PC purchase agreement. Relatively new to educational and business settings, touch tables are fast making an impact as the next forefront in embracing multi-touch interactive whiteboard technology. Essentially touch tables are an interactive surface that enables groups of users to simultaneously interact with the surface to use individual tools, web browsers and resources to collaborate, work on problem-solving activities and come to a consensus in the decision making process. Watch the video below to see the Smart Table 442i Collaborative Learning Centre in action! There are a number of educational and business suppliers of touch table technology for both Windows 8 and Android platforms. Why not check out the touch tables from Smart, Promethean and Ideum today? The original interactive whiteboards were ground-breaking but were hindered by the limit of only one user being able to interact with/touch the IWB at a time. 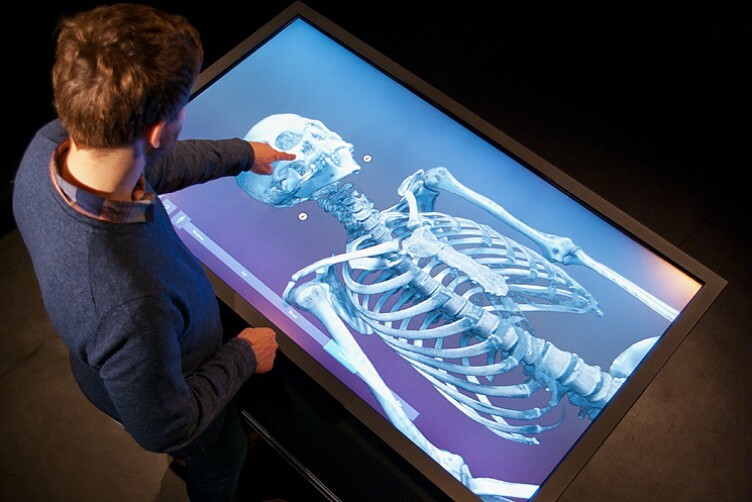 However, multi-touch interactivity has since been designed and integrated within IWBs to allow up four users to collaborate, touching and interacting with the IWB at the same time. The multi-touch points also allow for a pinch to zoom feature much like that of an iPad or iPhone. Watch the video below to see the SMART Board 800 series multi-touch IWB in action. Click here to watch the pinch and zoom function in action (flash video). There are also other software providers who design software specifically for creating interactive lessons, including RMEasiTeach and WizTeach. TouchCast for iPad and PC allows users to create fully browsable, interactive videos that embed widgets/video apps (e.g. websites, Twitter feeds and Youtube videos to polls, quizzes and news tickers) inside a video. Viewers can then touch and interact with videos as if they were a multi-modal website. Click here to watch and interact with other TouchCast videos. TouchCast is available for iPad (free) and PC (beta version). Download this free PDF guide containing ideas on how to integrate TouchCast into educational settings or access the online version here. Click here to access a step-by-step guide on how to use the TouchCast app for iPad. Teachers operating within a "flipped classroom" deliver lessons via pre-recorded videos instead of face-to-face teaching, freeing classroom time for group discussion and other types of active, two-way learning. TouchCast is an app that can be used enrich the flipped classroom approach and take student engagement in a flipped classroom setting to the next level. TouchCast is not just a static video of a lecture, it provides a simple way for an educator to include a wealth of related content and interactivity, inside the video. Touchscreen technology is rapidly replacing traditional mouse interaction and keyboard input peripherals.